(without stand or speakers) 30.2" x 19.7" x 1.5"
32” LED TV from Westinghouse offers a large viewing area and dynamic 100,000:1 contrast to ensure movies and games really pop. Westinghouse Digital optimizes efficient engineering in all LED backlit LCD TVs, which means our LED TVs feature a super slim 1.0” edge profile. Maximum thickness is 1.54” for an easy fit in any space or on any wall. 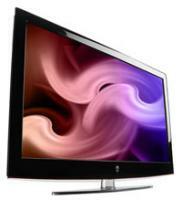 The 32” Westinghouse LED TV is feather-light at a mere 14.6 pounds!